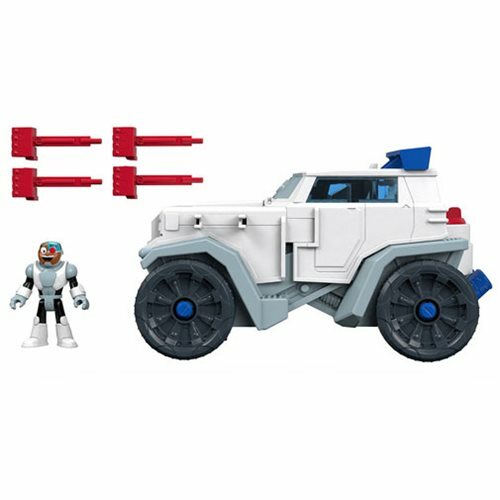 Shopping for Teen Titans Vehicles? Get ready for battle with this Teen Titans Go! Imaginext Transforming Battle Rig Vehicle! Cyborg races to the rescue with this fully loaded, transforming battle rig. Push the power pad to transform the street vehicle into a battle mode robot, complete with projectile launchers on the wings. Fans will have a blast creating action-packed adventures with Cyborg and this Teen Titans Go! Imaginext Transforming Battle Rig Vehicle! Ages 3 to 8.